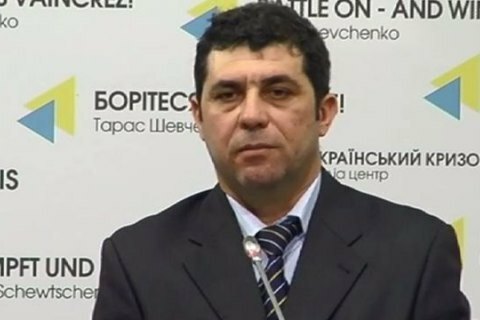 On Wednesday, Cabinet of Ministers appointed Yusuf Kurkchi First Deputy Minister for the temporarily occupied territories and internally displaced persons. Earlier, Kurkchi headed the department for Crimean Tatar affairs in the Presidential Administration. In 2009 - 2011 he has worked as deputy chairman of the State Committee on Nationalities and Religions, and was fired after the liquidation of the Committee. In 2008, he was Deputy Chairman of the Crimean Republican Committee for International Relations and Deported People. The former head of the Luhansk temporarily military and civil administration Heorhiy Tuka has recently been appointed deputy minister for the occupied territories in charge of Donbas. No deputy minister for Crimea was appointed yet. Political analyst Taras Berezovets during a roundtable in Gorshenin Institute raised the issue that nor executive nor legislative powers in Ukraine have no organs or officials in charge of Crimea issues.